On a warm Friday evening in anticipation of the weekend, we hopped on over to BurgerFI to start cheating on the healthy eating routine of the week. Only we weren’t really cheating since we were visiting one of South Florida’s all-natural burger joints and surprisingly, we were delighted to find that we didn’t have to compromise on taste. 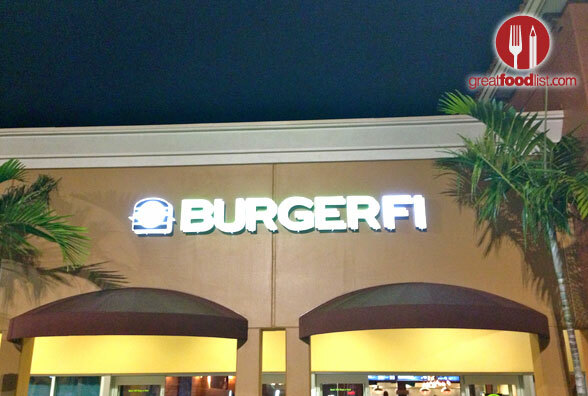 BurgerFI is a premium, fast-food franchise that operates with the philosophy of offering all natural, vegetarian-fed Angus beef, with no antibiotics or hormones, for a healthier and more flavorful meal. We started our venture with the Brisket Burger ($9.97), which has double natural 28-day dry-aged ground brisket, Swiss cheese, blue cheese, lettuce, tomato, pickles and BurgerFi sauce. The bun had a grilled tattoo of the restaurant’s signature logo, and apart from being aesthetically pleasing, it was crispy and warm. But the most important part of the burger’s anatomy, the patty, did not fail to impress. It was very flavorful and never once felt too heavy to finish. All the remaining ingredients were also perfect, including the cheese combination of blue and Swiss cheese which still makes our mouth water at the very thought. We also tried BurgerFI’s classic take on the cheeseburger by selecting the BurgerFI Cheeseburger ($6.57), which brings double natural Angus patties, double American cheese, lettuce, tomato, and the infamous BurgerFi sauce. With melted cheese on both juicy patties and fresh veggies, we found ourselves licking off traces of cheese and sauce in hopes of savoring every bit. Both burgers were cooked to our requested temperature and were easily lifted without disintegrating into a mess; these are two essential qualities of a good burger. It should also be noted that meatless lovers are welcomed. BurgerFI offers the VegeFI Burger ($6.97), which is made from Crisp quinoa, white cheddar cheese, lettuce, tomato, and BurgerFi sauce served on multigrain bun. Although tempted at first, we decided to drive the gluttonous route, but the customers sitting next to us would not stop raving about their meatless burger! As a side dish, we decided to get the Cry & Fries ($4.97) a combo of onion rings and fresh cut fries, which the waiter told us were hand cut every morning. We’ve had some darn good French fries, but these are really on another level. They’re soft and crunchy and seasoned to absolute perfection. We can’t stress the deliciousness of these fries; they were without a doubt the highlight of our meal. 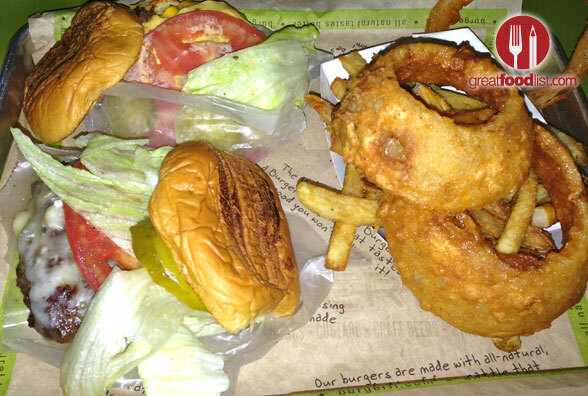 The onion rings were also crispy and tasty. For those of you who like toppings on your fries, (which you really don’t need on these), don’t fret! 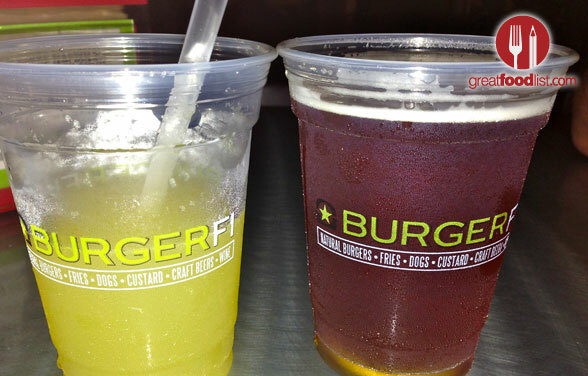 BurgerFI offers options like Hot Cajun Spices, Cheese Sauce or Chili. These added toppings range anywhere from $1 – $1.50. BurgerFI also has a selection of hot dogs that include choices like Chicago Style Dog ($4.47) and 100% Wagyu Kobe Beef Dog ($4.97), among others. Beverage selections include uber cool soda machines that let you choose any carbonated mix created by yours truly. 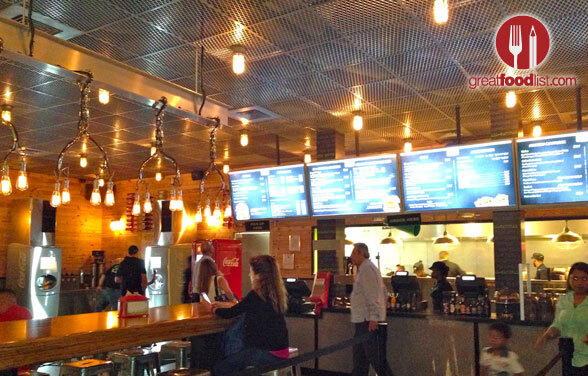 In addition, they offer Craft Beer and Wine to go along with your tasty burger. 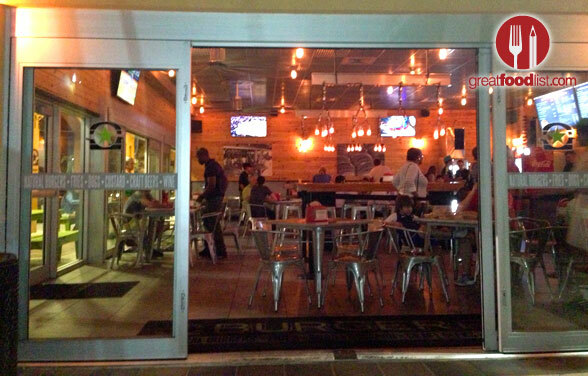 Dinning options include inside seating with large screen TV’s or outdoor patio seating for a warm spring breeze. 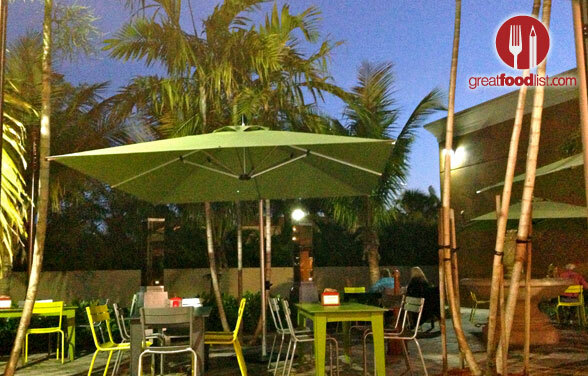 Finally, to all the sweet tooth’s reading this post, BurgerFI has you in mind as well! We’d suggest indulging in a frozen custard selection that includes milk shakes (Red Velvet, Peanut Butter and Vanilla, among others) or Frozen concretes that range from OMC (Oh My Chocolate) to key lime flavors. Prices for sweets range from $3.47 to $6.97. Oh! And, as if all this wasn’t enough to lure you in, BurgerFI is open late (1 am from Thursday to Saturday) so you can stay up late and still eat great! We have the 3859 address… Oh oh, we will send u a new one, next week!